Summer in Australia is simply the best. Long days, warm evenings and family holidays provide plenty of opportunities to get out and about, explore, play and exercise in the great outdoors. 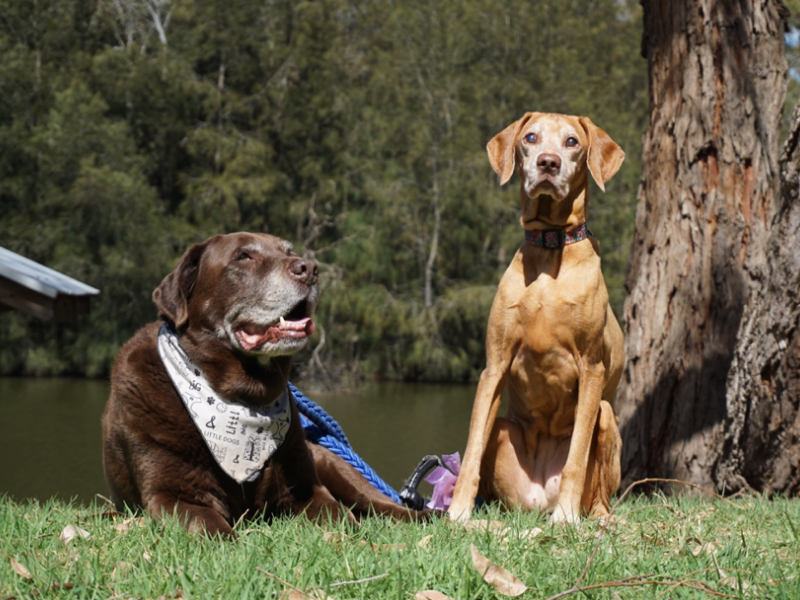 Our dogs love trips to the beach and bush walks (especially if there’s a muddy puddle for Buster to roll in!) but when the mercury soars, we take special care to ensure that our older dogs, Buster and Hazel, are cool, comfortable and safe. Here are our top tips for keeping your furry friends happy in the heat – at home and while you’re out and about. 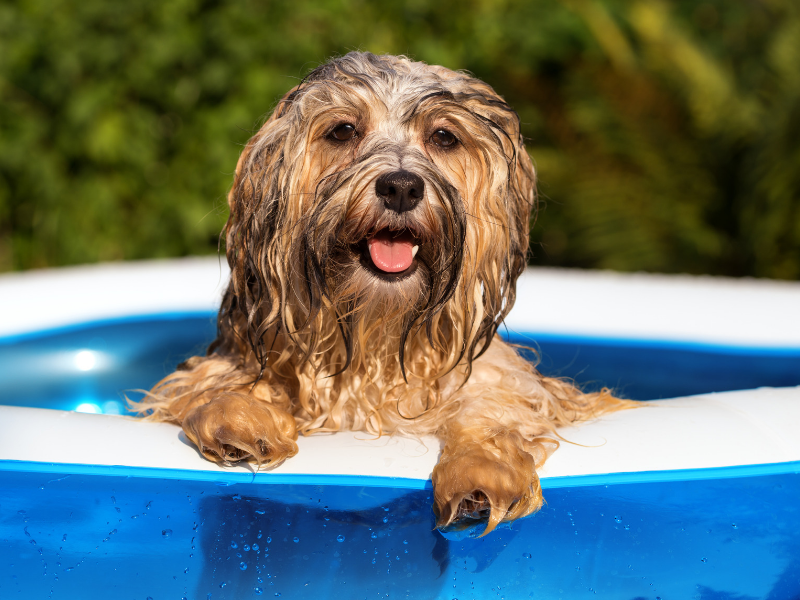 Try a Doggie pool: A large tub or kids’ paddling pool (moulded plastic, rather than inflatable to avoid sharp nails puncturing it) is a great option to keep your dog cool and entertained. Ensure that the pool is in a shady spot and change the water frequently. Please take care to empty the water when not in use as it is a drowning hazard for small children and may also attract mosquitos. 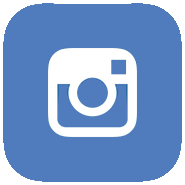 Cool down your dog’s bed: Padded, soft dog beds are comfortable but may be too warm on hot Summer days. A cooling pet pad filled with gel or water (such as this one by Lucky Pet) provide a quick and easy way to bring the temperature down. These are especially useful for older dogs as an alternative to hard floors. Combine this with a small fan positioned beside your dog’s bed for the full VIPooch experience. Make cool treats: One of our personal favourites! Make ice cubes with tasty treats inside. Not only are they delicious but your pup will enjoy chasing them around the kitchen floor. We make these each week in summer and the kids love to help out and come up with new fur-friendly flavour creations. Try our Vegemite ‘pupsicle’ recipe below. Leave your pet at home: Our dogs get serious FOMO (fear of missing out) when we venture out without them but on really hot days safety comes first. 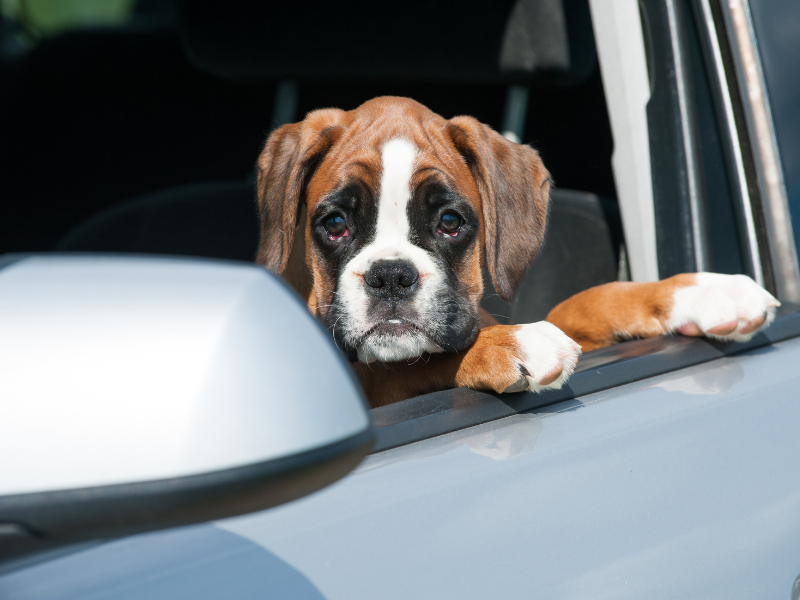 NEVER leave your pet in a car: If you must take your dog out with you on a hot day do not leave them in the car. Even with the windows down, or parked in the shade, it only takes a few minutes for a car to heat up to dangerous levels that can lead to dehydration, heat exhaustion, or even death. If you see a pet left in a car on a hot day, call the police immediately. BYO water: Ensure that you have plenty of fresh drinking water on hand – in your bag and in the car. Dog water bottles such as this one from Dog Culture (where the lid folds out to become a bowl) are cost-effective and convenient. Regular brushing to help with the shedding process or trimming your pet’s coat as the weather warms up can help your dog feel some heat relief however shaving is not usually recommended. For some breeds, particularly those with double coats, shaving can result in patchy or uneven sections as the hair grows back. A dog’s hair also provides sun protection and keeps out insects, dirt and water. Use a pet-specific sunscreen on your dog’s nose, ear-tips, and stomach if it is hairless. If using for the first time, try a patch test in case your dog has a reaction. Note: Zinc oxide, often used in human sunscreen, is toxic for dogs. Check the label or use a sunblock specially formulated for dogs. Take care of at-risk dogs. Snub-nosed (brachycephalic) breeds such as a pugs, bulldogs or shih tzus already have compromised breathing which may be exacerbated by the hot weather. Their smaller airways make it harder for them to release heat when they pant which puts them at risk of overheating. 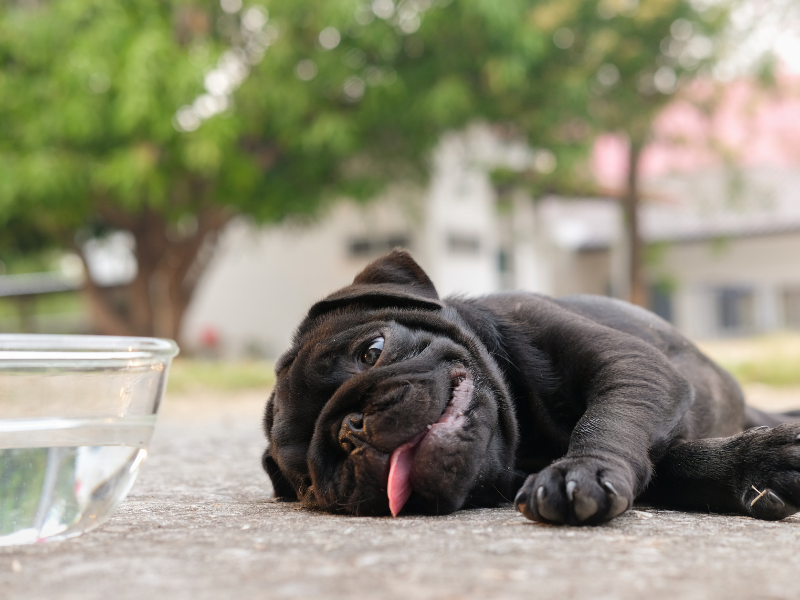 Senior dogs, those that are overweight or have respiratory conditionsare also especially susceptible to heat exhaustion so be watchful for signs of distress on hot days. If you see any signs, take your dog to the vet right away. How do you keep your dog cool on hot days? Share your tips in the comments below.